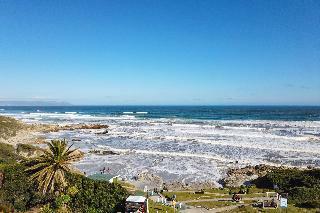 This luxurious hotel is located in Hermanus, known as the “whale watching capital of the world” and offers excellent accommodation in combination with exciting adventures. Guests can book a whale-watching weekend, explore the beautiful landscapes or do a wine-tasting trip in the heart of the South African wine industry. The spacious, individually decorated rooms offer beautiful views of the lush green gardens and en-suite bathrooms with separate shower and tub. After a day filled with excitement guests can take a dip in the solar heated pool. 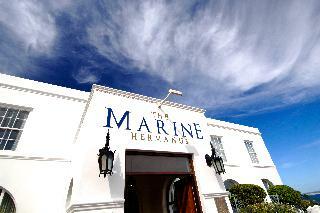 For decades, Voelklip, Hermanus, has been an exquisite destination. The Southern Right Whales have made this bay, their “choice of stay”. Make it yours. 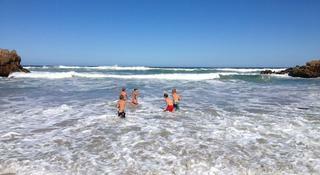 See why WALKER BAY is so loved by globe trotters. The Hermanus Beach Front Lodge puts you center stage.Hermanus Beach Front Lodge is one of only three lodges that are located right-on the very popular Voeklip Beach which is much sought after by surfers and swimmers alike. Enjoy the sound of the surf and the beautiful sunsets from one of our five luxury suites. Each suite is equipped with its own private self-catering kitchenette and one bathroom (double marble basin, bath and shower and toilet). 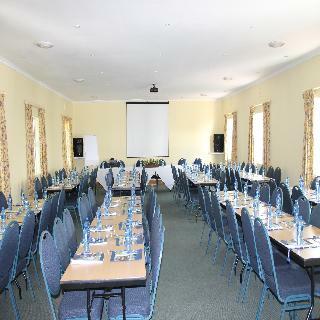 Come join us in the tranquil suburb of Voeklip – a narrow stretch of land, hemmed between Maanskyn Kop (Moonshinis popular hotel offers the perfect stay for business and leisure travellers alike. The Hotel provides a key collection service. A luxurious, peaceful escape that offers exceptional cuisine and personalised service nestled outside the serene town of Hermanus, a scenic 90-minute drive from Cape Town. An exclusive boutique hotel offering tranquility and exclusivity. A luxurious, peaceful escape that offers exceptional cuisine and personalised service nestled outside the serene town of Hermanus, a scenic 90-minute drive from Cape Town. The Thatch House is an exclusive boutique hotel that offers respite from everyday life, in an exquisite natural setting overlooking the Hermanus lagoon. Guests here are treated not only to the expansive views over the water and the ancient Cape Fold Mountains, but to impeccable service and distinctive fine fare.Offering a refined sense of home, our boutique hotel has six large luxurious suites, in- and outdoor living areas, and lovingly-manicured sprawling gardens that are coupled with our renowned service and facilities. With relaxation a priority for guests, our team is on-hand to assist with even the smallest of arrangements.Our food and wine experience is both personal and sophisticated, with a strong emphasis on dishes that are delicious, fresh and healthy. Our chefs use only fresh seasonal ingredients, preparing unique dishes that speak to the terroir of our surrounds.Over two hectares of gardens fan out from The Thatch House, offering guests the opportunity to disconnect from their busy lives and reconnect with family and friends during their stay.Whether it's reading a book on one of our pool loungers, or kayaking across the tranquil lagoon on a double kayak with your partner, there is plenty on offer for every type of traveller at our exceptional hotel. 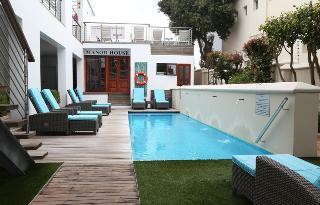 Hermanus Boutique Guest House is a Luxurious haven of comfort and tranquility .Put your feet up and watch the famous whales perform their aquatic antics in sparkling Walker Bay. We proudly provide superior bed and breakfast accommodation… and a stylish setting for your holiday of a lifetime.Our range of rooms cater for many preferences and budgets - from the beautiful Honeymoon Suite with unparalleled ocean views through to the Pool Suites overlooking the deck alongside the swimming pool, the Standard Rooms in the main Guest House to the very spacious Self-Catering Unit within a 90-year-old historic house. Named after the 140-year old Blue Gum tree that grows on our front lawn, the estate is both a working farm dating back to 1839 and a private, family-run guest house. We pride ourselves on offering visitors a unique experience in a welcoming environment. We also place great value in our staff, as a result you'll find that everyone is actively responsible for making your stay memorable. We want you to feel like you're in a private home – but with no obligation to your hosts. And as our guest, we'll make sure you're taken care of, down to the last detail. 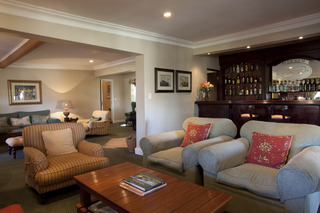 The 12 rooms at Blue Gum Estate are all different, as you would expect in a private home. Some are more spacious, others more family-friendly, but they all have a warm domestic feeling with an emphasis on quality and comfort. Several of the rooms have open fireplaces, which we are more than happy to light for you in the winter.